We love our patients - Insurances work great here - Thousands of happy patients - Watch our video! "I was pleasantly surprised at how professional and polite all the workers were. They were very knowledgable about questions that I had and gave me the answers that I needed! Dr. Stewart was very nice and thorough with her examination. Her assistant was great, great people person skills! I highly recommend anyone to East Cobb Family Dentistry." We want each patient to know how valued he or she is, which is why we have established priorities across our practice of safety, comfort and education. All of our dental assistants have received advanced training in Expanded Function Dental Assisting (EFDA), certified by the Georgia Dental Association. In your "dental home" with us, we will work together to find the appropriate solutions for you, making joint decisions as to exactly when and how to carry out your dental care plan. As a patient, we want you to always understand your procedures and know what is going on with your progress. We would like for you to think of East Cobb Family Dentistry as a place that is as comforting and inviting as your own home. Our experienced dental hygienists are active educators and serve as the cornerstone of our program to prevent dental disease. Our front desk staff members are extremely knowledgeable about dental care and serve as a tremendous resource for our patients. Dr. Lauren Stewart received her Doctorate of Dental Medicine from the Medical College of Georgia. While in dental school she participated in several externships in which she provided dental care for medically under-served communities in Atlanta, GA. Her mission is to provide an optimal level of dental care to her patients while educating them on the connection between oral health and overall well being. 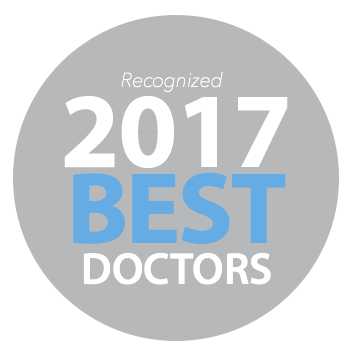 Read more about our doctors. "These pros have taken great care of our family for many years, and now they are like family. " "My family has been coming here for approx. 5 years. We have been very pleased with the service and professionalism of the staff. We never have been told we needed things we didn't and the cost for their services is very reasonable. I highly recommend the practice to anyone." "I had a wonderful experience at this office. The entire staff was friendly. The hygienist and Dr. Stewart made me feel comfortable during my visit. It's clear the office manager and her staff make customer service a priority. I love this office and will be returning for all of my future visits." Have Questions? Call Us Now (770) 913-6800 OR Schedule Your Visit!